When Michelle Obama’s Kitchen Garden came on the scene in the fall of 2009, it did so with almost as much fanfare as the soaring 2008 acceptance speech Barack Obama delivered while positioned between two styrofoam Greek columns at INVESCO Field. Less than a year after leaving the mean streets of Chicago and setting up shop at 1600 Pennsylvania Avenue, Mrs. Obama had the South Lawn rototilled, turned over the soil shod in her $500 Tory Burch gardening boots. A cacophony of vegetables were planted, and the first lady’s Kitchen Garden became the launching pad for her “Let’s Move!” healthy-eating initiative. Now, supposedly because of the government shutdown, the first lady’s once-lush 1,500 square-foot veggie patch is filled with rotting organic produce. Weeds are taking over and vine vegetables are decomposing on the ground. Worse yet, word is out that even mushrooms, which are fungi (how appropriate), are populating the place. Un-raked leaves blanket the beds, and squirrels and foxes freely feast on a cornucopia of nasty vegetables. The reason for the White House garden dilemma is that the National Park Service horticulturists are on “minimal maintenance.” Therefore, the guys who service the first lady’s garden are not trimming, harvesting, weeding, raking, or mowing the grass. Based on the ballyhoo that trumpeted Michelle Obama’s affinity for gardening, one would think the first lady would slip on her designer gardening attire and head out to tidy up her beloved ‘victory’ garden and attempt to rescue her French fingerlings. Not that anyone thought Mrs. Obama was out back-hoeing and tilling. But she has become a spokesperson for gardening at the White House and even wrote a book “American Grown: The Story of the White House Kitchen Garden and Gardens Across America.” It’s kind of shocking that the woman America witnessed crawling around in an arugula patch would allow her orchard to deteriorate for lack of anyone to pick the papayas off her papaya tree. Despite Michelle’s putrid papayas, the first lady’s organic plantation has ironically assumed a new role. Instead of producing bushels of okra, lemongrass, and sweet potatoes, the South Lawn garden has “fundamentally transformed” into a tangible teaching tool. 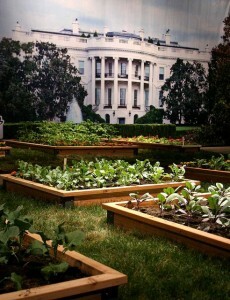 What started out as a garden for Michelle Obama to instruct America about the value of planting and eating vegetables has now become a symbol of the political environment her husband has created. 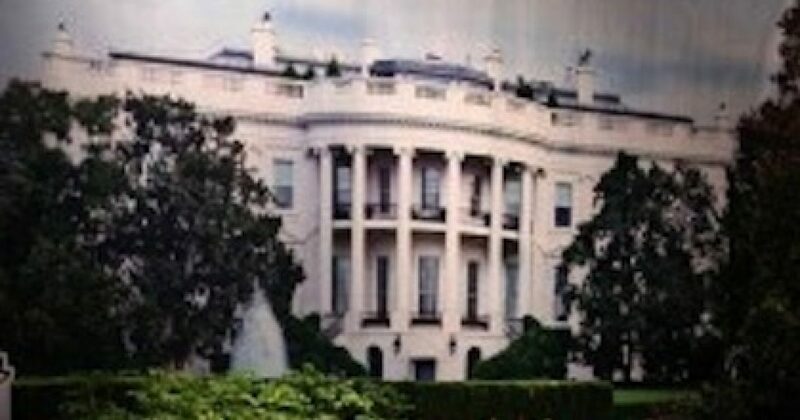 Rotten tomatoes and wildflowers growing in- and outside raised beds aside, the truth is that Michelle’s highly touted Kitchen Garden mirrors the condition of a weed-laden presidency that for five years has produced nothing but rotten fruit overrun by hungry foragers.